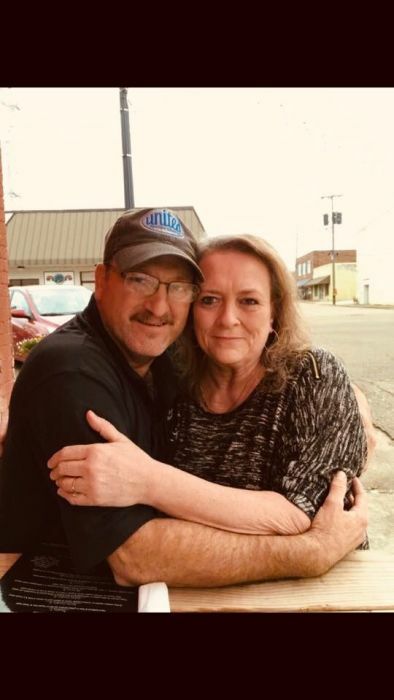 Pontotoc – Mrs. Cynthia Deloach Lambert, age 60, died Monday, April 1, 2019 at North Mississippi Medical Center. She was born in Statesboro, Georgia, on June 30, 1958, to Emory Clyde Deloach and Ida Mae Guinette Deloach. She worked as a seamstress employed by Stacy Furniture for several years before becoming disabled. Cynthia married James Lambert, March 4, 1995. She was a member of Pearson Chapel Church of the Nazarene in Houston, MS. She was a Godly woman, raising her children to know right from wrong and teaching them to accept all children, including stepchildren, into their homes as their own. She enjoyed fishing, camping, and cooking. She will be greatly missed. A celebration of life service will be at 2:00 p.m., Wednesday, April 3, 2019, at Pearson Chapel Church of the Nazarene, 512 CR 24, Houston, MS, with Bro. Cody Childress and Bro. Jim Jackson officiating. A graveside service will follow at Calvary Cemetery in Bruce, MS. Visitation will be Tuesday from 5:00 p.m. – 8:00 p.m. and Wednesday from 1:00 p.m. to service time, all at the church. Holland Funeral Directors, Tupelo Chapel is entrusted with arrangements. Condolences to the family may be posted at www.hollandfuneraldirectors.com. Survivors include her husband, James Lambert of Pontotoc; 4 sons, Kenneth Lee Waters, Sr. (Harley) of Pontotoc, Wesley Lambert (Jackie) of Dumas, Wayne Lambert (Joanne) of Horn Lake, and Jesse Lambert (Brianna) of Middleton, TN; 1 daughter, Jamie Nicole Foster (Michael) of Pontotoc; 1 sister, Jean Thigpen (Leon) of Atlanta, GA; 12 grandchildren, Hunter Lambert, Fisher Lambert, Kenneth Waters, Jr., Mason Waters, Noah Waters, Grayson Waters, Ana Leigh Waters, Preston Waters, Keller Russell, Gage Lambert, Mason Lambert, and Raelynn Lambert; a host of other loving family members. She was preceded in death by her parents. Pallbearers will be grandsons, Hunter Lambert, Fisher Lambert, Kenneth Waters, Jr., Mason Waters, Noah Waters, and Keller Russell. Honorary pallbearer will be Wayne Lambert.